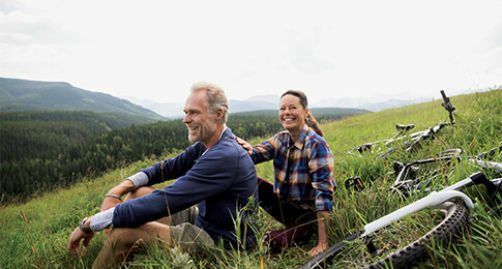 An Individual Retirement Account or IRA is a great way to save for retirement and enjoy tax advantages. We have several types of IRAs so you can choose the one that fits your retirement strategy. Don't have a retirement strategy? Our financial advisors can help you create a plan. Didn't find the calculator you need? Visit our calculators page. We offer no-cost, no-obligation professional investment advice to all our members through Ascend Retirement and Investment Services. We offer a variety of IRAs to meet your individual needs. We will be glad to help you find the IRA that's right for you. Please call 800-342-3086 and ask to speak with an IRA/Certificate Support Representative. When can I access the money in my IRA without penalty? This depends upon the type of IRA you have and your circumstances. For complete details, please call 800-342-3086 and ask to speak with an IRA/Certificate Support Representative. What is the penalty for withdrawing from my IRA before I retire? For complete details, please call 800-342-3086 and ask to speak with an IRA/Certificate Support Representative. Yes, an IRA holder can make only one rollover from an IRA to another (or the same) IRA in any 12-month period, regardless of the number of IRAs you own. The limit will apply by aggregating all of an individual’s IRAs, including SEP and SIMPLE IRAs as well as traditional and Roth IRAs, effectively treating them as one IRA for purposes of the limit. There are two different ways to open an IRA. Click below to open an account via our IRA Service Center.